A more colorful view of Seattle. Canon A540. Interesting pp and a great view. 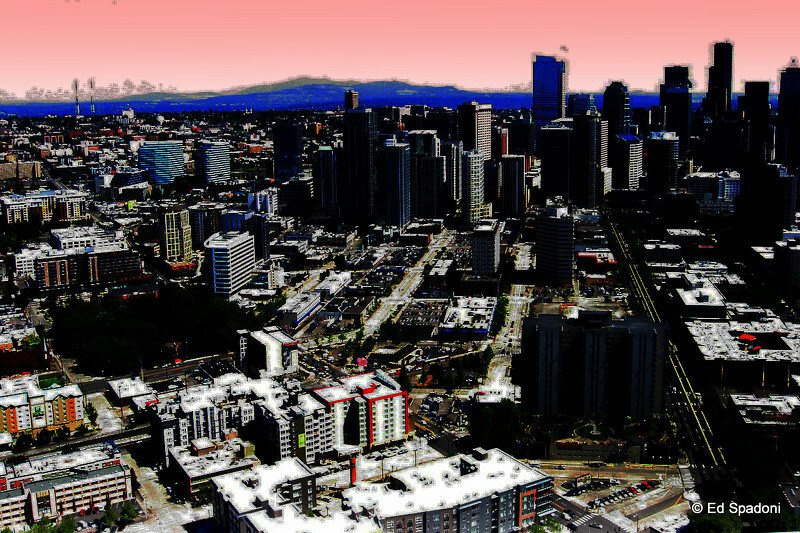 Wow, Seattle is very big! Wonderful view and great treatment. A terrific cityscape, Ed. I especially like the way you rendered the skyline. Great view, this is wonderful. wonderful view. I've never been in Seattle.